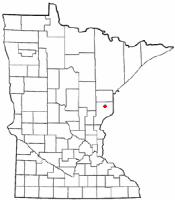 Bruno is a city in Pine County, Minnesota. 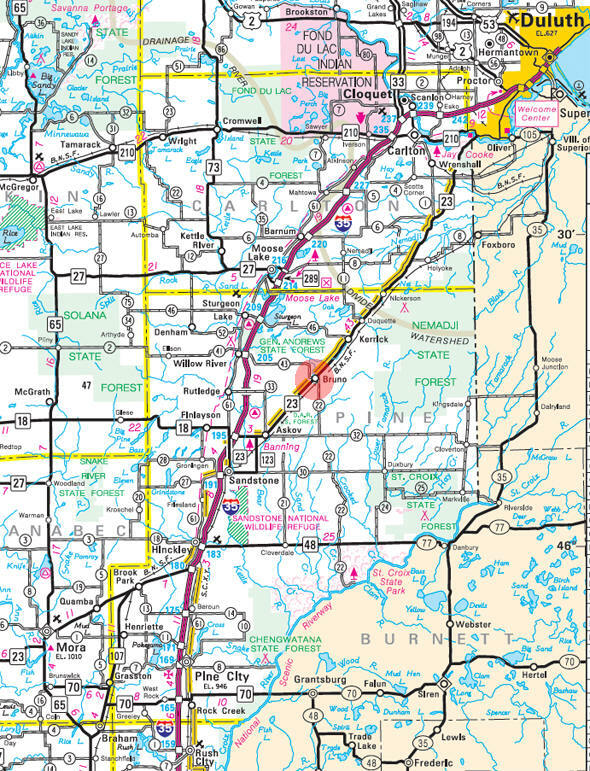 Minnesota State Highway 23 serves as a main route in the community. 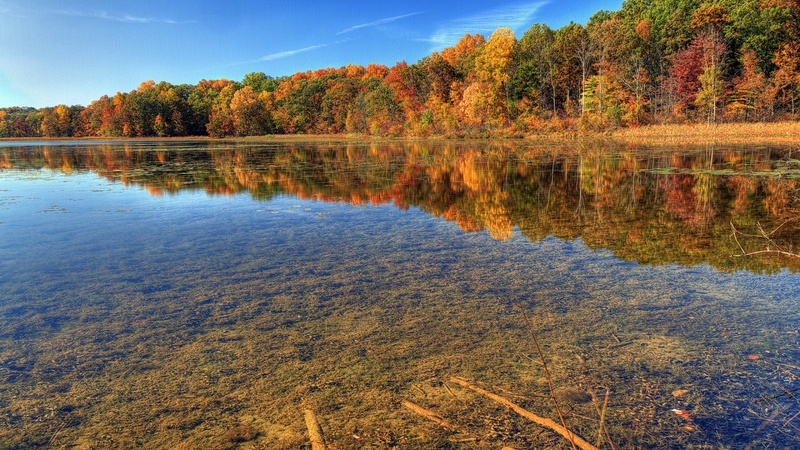 According to the United States Census Bureau, the city has a total area of 1.00 square mile (2.59 km2), all land. The elevation is 1,152 ft (351 m). At the 2010 census, there were 102 people, 44 households and 29 families residing in the city. The population density was 102.0 per square mile (39.4/km2). There were 53 housing units at an average density of 53.0 per square mile (20.5/km2). The racial makeup of the city was 92.2% White, 1.0% African American, 4.9% Native American, and 2.0% from two or more races. There were 44 households of which 22.7% had children under the age of 18 living with them, 50.0% were married couples living together, 9.1% had a female householder with no husband present, 6.8% had a male householder with no wife present, and 34.1% were non-families. 29.5% of all households were made up of individuals and 18.1% had someone living alone who was 65 years of age or older. The average household size was 2.32 and the average family size was 2.86. The median age was 47 years. 23.5% of residents were under the age of 18; 6.9% were between the ages of 18 and 24; 17.6% were from 25 to 44; 27.3% were from 45 to 64; and 24.5% were 65 years of age or older. The gender makeup was 50.0% male and 50.0% female. BRUNO Township, organized May 11, 1903, and the city in section 19 were named in honor of an early hotel owner there. The township was formerly named Mansfield, but the name was changed as another township in the state already had that name. 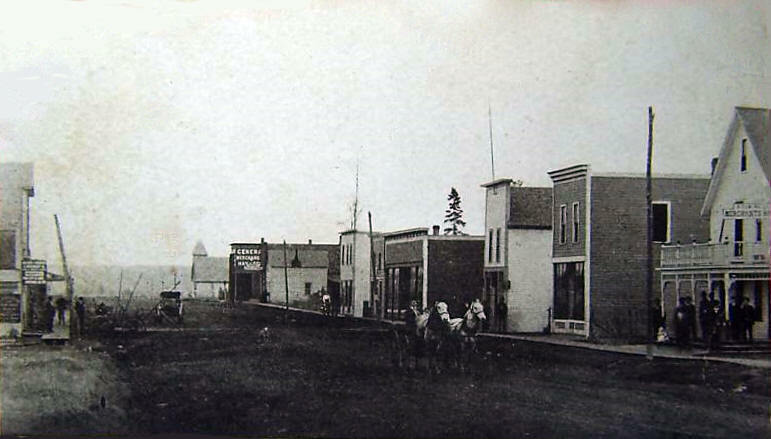 The city was incorporated as a village on August 29, 1903; the original townsite in section 19 was owned and platted by Fitzhugh Burns. The Eastern Railway Company of Minnesota station was known as Mansfield Station in 1887; the post office began in 1896. Because many of the early settlers were from Czechoslovakia, the city may also have been named for Brno, a village in the Czech Republic. - State of the art down draft bake booth! 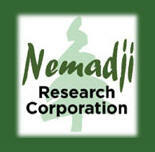 Nemadji Research Corporation (NRC) is a family-owned business headquartered in Minnesota. Founded in 1985, NRC currently has offices in California, Minnesota, and Georgia and has worked in nearly every state for private and public health care providers, as well as County, State, and Federal agencies. As a "Last-in-Line" safety net contractor with the goal of maximizing State and Federal dollars to hospitals, NRC’s purpose is the design and development of software to enable our in-house patient financial service workers and billers to take on reimbursement challenges that provider staff and other contractors cannot efficiently perform.